Good Clinical Practice (GCP) is a standard which needs to be observed for the proper conduct of safe and quality research. It is an “international, ethical and scientific quality standard for the design, conduct, performance, monitoring, auditing, recording, analysis and reporting of clinical trials involving the participation of human subjects”. The term “subject” is now regarded as politically-incorrect and demeaning so it is suggested to use terms like “individuals” and “patients”. However, since the GCP Guidelines still mention subject, I have retained the term wherever necessary. The basic principles of GCP are provided in the ICH Harmonized Tripartite Guidelines [Guideline for Good Clinical Practice E6(R1)]. The initial ICH-GCP Guideline was developed to provide a unified standard for the European Union, Japan and United States to facilitate the mutual acceptance of clinical data by the regulatory authorities in these jurisdictions. However, later other countries came up with their own GCP Guidelines based on the tripartite agreement. 1. To assure the rights, safety, integrity, confidentiality and well being of the human subjects during the trial. 2. In order to generate credible data and to maintain the integrity of data. It could be an investigation in human subjects, intended to discover or verify the clinical, pharmacological and/or pharmacodynamic effects of an investigational product (IP) and/or to identify any adverse reactions to the IP and/or to study the absorption, distribution, metabolism and excretion (ADME) of an IP with an objective of ascertaining it’s safety and/or efficacy. 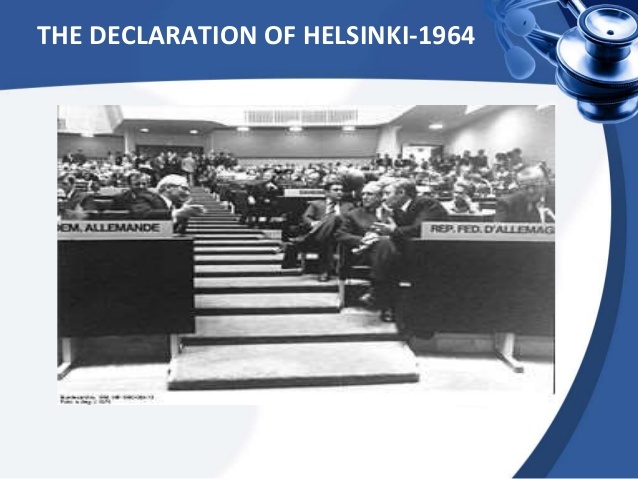 The conduct of Clinical Trials (CT) should be based on ethical principles derived from the DECLARATION OF HELSINKI (DOH). During the Nazi era unethical research was conducted on human beings which led to the death of many individuals. The Japanese conducted similar research through their Unit 731. In 1947, after the end of World War II, Nazi doctors and scientists faced the NUREMBERG TRIAL. 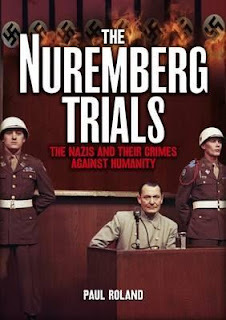 As a result of the trial the NUREMBERG CODE was developed which became the first codification of research guidelines to protect human subjects. The Nuremberg Code set forth 10 Articles including those relating to the assurance of safety of human beings and to assess the scientific value of the research prior to the start of any experiment. In 1964, the World Medical Association at its 18th General assembly in Helsinki extended the Nuremberg Code to include other aspects of clinical research. The DOH has subsequently undergone further revisions. 1. The glossary explains terms such as: Adverse Event (AE), Blinding/Masking, Case Report Form (CRF), monitoring, multicentre Trial, Quality Assurance/Quality Control (QA/QC), randomization, Serious Adverse Event (SAE), source data and others. 2. There are 13 principles of GCP. These pertain to, among others: ethical principles, rights of the subjects, scientific soundness of the trial, involvement of IRB/IEC and investigators, freely given informed consent, accurate reporting, confidentiality, good manufacturing practice (GMP) of IP and assurance of quality in every aspect of the trial. 3. The IRB/IEC is necessary to safeguard the rights, safety and well-being of all trial subjects. Special attention should be paid to vulnerable (not to be unfairly targeted, e.g. pregnant women, children and prisoners) and underrepresented (not to be unfairly excluded, e.g. minorities) groups. The IRB/IEC should obtain important documents prior to start of the trial. An important document among these is the written INFORMED CONSENT FORM(s)[ICF]. Informed consent is a “process” by which a subject voluntarily confirms his/her willingness to participate in a CT, after being made aware of all aspects of the trial that are relevant to the subject’s decision to participate. Informed consent is documented by means of a written, signed and dated ICF. In case the subject is not able to sign the ICF, a LEGALLY AUTHORIZED REPRESENTATIVE (LAR) can sign the ICF. 4. An investigator is a person who is qualified, trained and experienced enough to assume responsibility for the proper conduct of the trial. In order to make the investigator competent enough to handle the trial, it is necessary to undergo the GCP training. The investigator (known as the Principal Investigator or PI) may delegate some responsibilities to other members of the study team by duly recording in the “DELEGATION LOG”. The Sub-Investigator/s (SI) are those delegated by the PI for the conduct of the study. The PI should be able to demonstrate adequate resources, provide medical care to the trial subjects, communicate with the IRB/IEC, comply with the CT protocol, be accountable for the IP at the site, randomize the procedures, obtain informed consent, maintain records and reports, submit progress reports, report on safety issues, inform the relevant persons, especially the subjects in case of premature termination or suspension of the trial and to generate the final report of the trial. 5. A sponsor is an individual, company, institution or organization which takes responsibility for the initiation, management and/or financing of a trial. Sometimes, the sponsor may contract with a Contract Research Organization (CRO) to perform one or more of the duties/functions of the sponsor. The sponsor is responsible for QA/QC, trial design and data management, selection of PI, compensation/financing of subjects and study team, notification/submission to regulatory authorities, confirmation of review by IRB/IEC, monitoring, audits and archiving of documents. Reporting of AE/SAE is an important responsibility of the sponsor. 6. A protocol is a document which describes how a trial will be conducted (the objective/s, design, methodology, statistical considerations and organization of a trial) and ensures the safety of the trial subjects and integrity of the data collected. [Clinical Trial Protocol development, accessible at https://hub.ucsf.edu/protocol-development ]. It provides general information regarding the trial, background information, trial objectives and purpose, trial design, selection and withdrawal of subjects, treatment of subjects, assessment of efficacy and safety, statistical methods, ensure direct access to source data/documents for monitoring/audit/IRB/IEC review, QA/QC, ethics, data handling and record keeping, financing and insurance and publication policy. 7. Investigator’s Brochure (IB) is a compilation of the clinical and non-clinical data on the IP(s) which are relevant to the study of the product(s) in human subjects. It provides the investigator with a clear understanding of the possible risks and adverse reactions, specific tests, observations and precautions required for a CT. It is based on available physical, chemical, pharmaceutical, pharmacological, toxicological and clinical information on the IP(s). It also guides the investigator to recognize and treat possible overdose and Adverse Drug Reactions (ADR) based on previous human experience and pharmacology of the IPs. Further information regarding the GCP can be obtained online and through various courses. It is imperative to obtain the GCP certificate in order to conduct trials in an internationally acceptable manner.